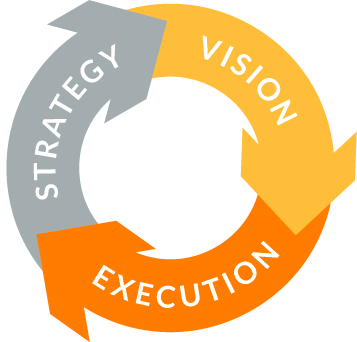 Fill the gap between strategic planning and proper execution. Today, most companies have to face several challenges at the same time, digital transformation, innovation, new product and market developments, as well as improve competitiveness and margins, all with ever more stringent constraints. STRATEGIC PLANNING. You have to know where you are going and why. Meeting daily challenges requires a clear strategy, communication and sharing of visions and goals. 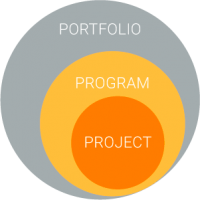 PROJECT PORTFOLIO MANAGEMENT. You need to stay aligned and to execute on purpose. Traditional PPM and PM approach managing budgets and deadlines, are not enough anymore; you must track real outcomes and to ensure alignment with strategy. EASE OF USE AND PRAGMATIC SOLUTION. Strategic challenges, complex projects, easy to use tools. What people need and expect today are easy to use and configurative tools. Build Your Roadmap to Success with Triskell. Get rid of the jungle of spreadsheets that overwhelms you when managing strategic planning, portfolios, projects and others. Capture, align, link objectives, initiatives, programs and portfolios, across the entire enterprise to get business challenges under control and ensure results. Get clear KPIs and status updates to measure progress and stay in the target. 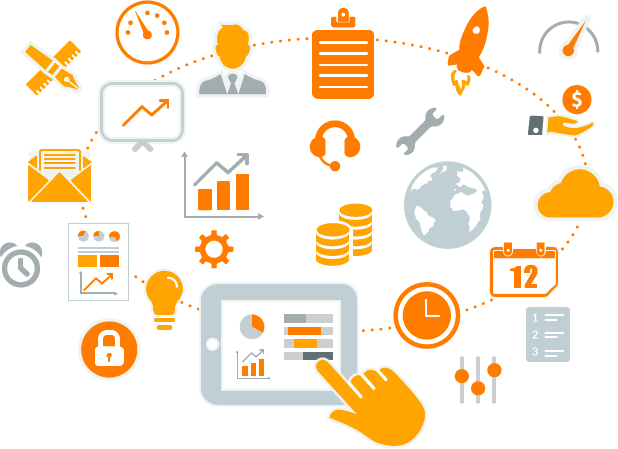 With Triskell you can align key performance measures with strategic objectives and track actual progress, in order to stay on top of everything. Extremely flexible and easy to use PMO software tools to support any organization and business strategy. – Organize, manage and gain visibility on all your portfolios. – Ensure that programs and projects support your strategy. – Get real-time pictures of your resources. – Have a clear view of which project delivers value. – Easy to use and efficient portfolio planning. 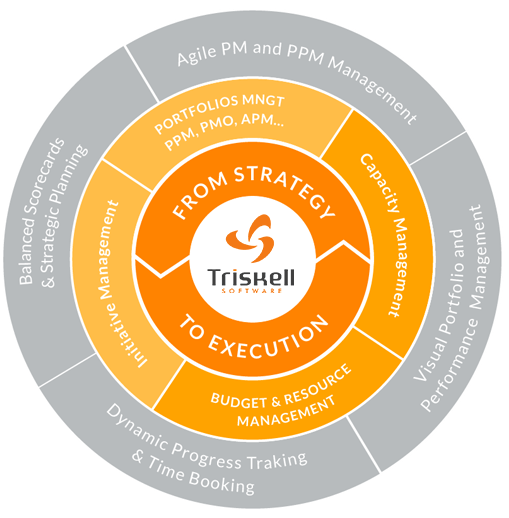 READ MORE ABOUT TRISKELL PPM! Fill the gap between strategy and execution. Improve your business performance by having all your strategic planning and execution plans in one single place. READ MORE ABOUT TRISKELL SEM! Project Success: Is On Budget or On Time Enough Anymore? It used to be that project success was based on one or more of three key project success determiners: on budget delivery, on time delivery, and customer satisfaction (and sometimes quality, but that also factors into customer satisfaction). Is Strategic Planning dead and buried? After carefully considering the question we answer negatively and provide ten golden rules for agile strategic planning in the digital age based on our practice as strategy advisers and consultants. Every year millions of entrepreneurs come up with great ideas. And every year they spend countless hours creating and re-creating detailed business and strategic plans. Often most of this effort goes to waste as entrepreneurs fail to follow through on their own well thought-out plans.